For the past 5 years I have been responsible for organising a hiking trip for me and my buddies, I am not sure how the responsibility fell on my shoulders and I can assure you that it was something that I did not seek. Nevertheless, I spend a great deal of time each year to ensure that we have a great time on our trip and that everyone has whatever they need in order to have a great time. Usually my buddy Steve Sorensen sets the location and then I organise everything from there and I thought I’d share my planning methods so that if you are in my position, you too can organise and awesome hiking trip. The first thing to consider on you have your location in mind is to consider the logistics and arrange the transport. Don’t give people free reign to arrive as and when they please as this will soon descend into chaos. Instead, organic a bus or a private vehicle which will take the group, all at once, to the destination of your choice. Consider all abilities in the group when you are planning your route as some will walk faster than others. I always like to have 2 daily plans for where we will make camp, the first will be quite far and if we walk at good speed and don’t have any problems, we will head there. The second camp spot that I plan for is a short distance and one which we can fall back on should things slow down. Make sure that you always, always receive money up front for any plans, transport or equipment which the group is going to need. In the past I have paid for things first and then requested money second, something which cost me a lot of money after many people dropped out. I always like to send an info pack to everyone who is coming on our hiking trip so that they are fully informed about where we are going and what we are planning to do. Within this pack I will also add a list of required equipment and make sure that everyone plays their role in looking after the group’s equipment. This is quite time consuming but handing out these info packs avoids a great deal of questions from the group and it also ensures that everyone knows what is going on. 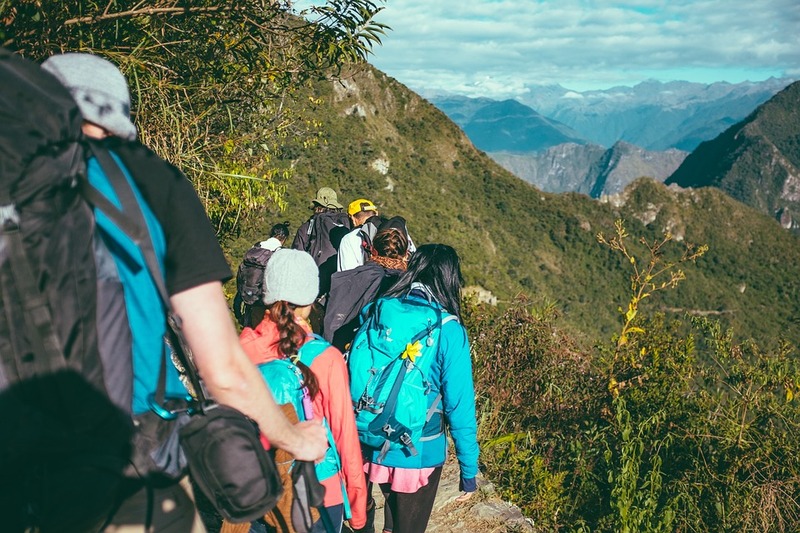 Make sure that you have planned for all eventualities during your hiking trip and that you say in regular contact with someone back home, and that you have a way of getting out safely should you run into any danger. Arm yourself with phone numbers of key people and make sure that you have the means to contact them in the event of an emergency. If you plan well and don’t take risks, it is unlikely that anything will happen but you never know and you must be prepared.